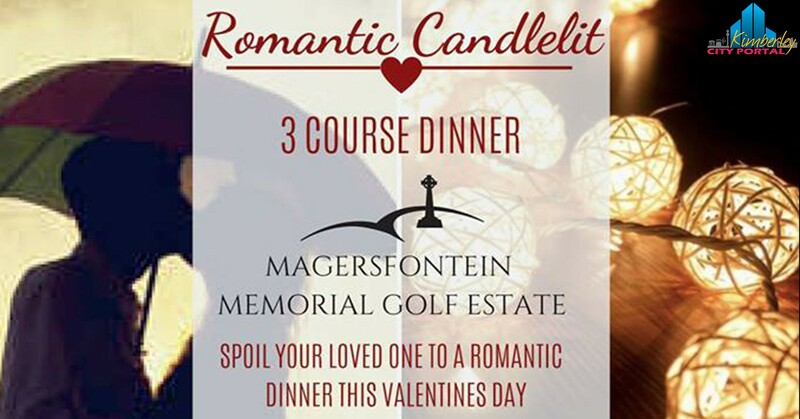 Spoil your loved one this Valentine’s Day to a Romantic 3 Course Dinner at The Cygnature Restaurant on Magersfontein Memorial Golf Estate. Includes romantic candlelit 3 course dinner and a bottle of sparkling wine. For reservations contact us on 066 236 73331 or via Email.